After announcing the availability of its 2019 line-up, Harley-Davidson of Manila is holding an open house to showcase the brand’s full motorcycle range as well as accessories and gear starting this Saturday, November 24 at both their EDSA Greenhills and Shangri-La Fort showrooms. 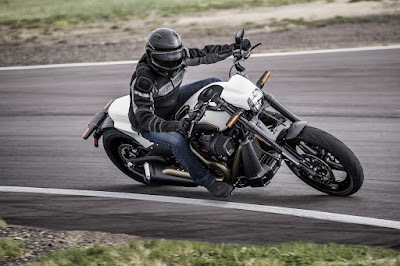 The highlight of the open house event is the 2019 Harley-Davidson FXDR 114. The FXDR 114 is Harley-Davidson’s newest power cruiser that combines the famed Milwaukee-Eight 114 V-Twin in a Softtail chassis. The most powerful engine offered with the Softtail chassis, the FXDR 114 draws inspiration from the dragstrip from its molded speed screen, clipped tail section, and solo seat. The rear fender is also shaped to accommodate a massive 240-mm tire. The FXDR 114 is seen as the brand’s commitment in the coming years to advance its Touring and Cruiser models. Harley-Davidson of Manila will also show off three limited-edition Harley-Davidson Custom Vehicle Operations models all powered by the high-performance Milwaukee-Eight 117 engine and a standard Boom! Box GTS infotainment system. These will be the CVO Limited, CVO Street Glide, and CVO Road Glide. On the other hand, the brand will also present its new Genuine Motor Accessories line-up which includes the Daymaker Adaptive Headlight and the Screaming Eagle Muffler as well as the new range of head-to-toe riding gear including a range of helmets and gloves.